Do you want to be a magician for a moment? 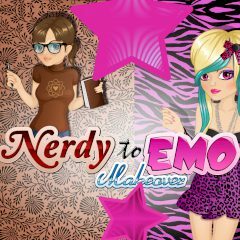 Then help this young lady-nerd turn into a real Emo girl! Apply masks, creams, make-up, do her a nice hairdo and choose for her the most fashionable clothes!